Well, it’s time to geek out again. This isn’t the first time I’ve referenced popular media and the lessons you can learn from them, nor is it the first time I’ve mentioned video games here on the blog. 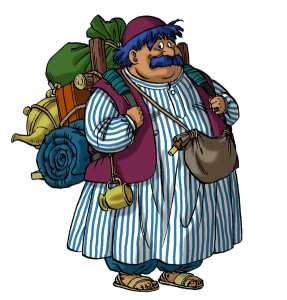 I’ve been playing through Dragon Quest IV on my Android smartphone as of late, and in chapter three, you get to play as Torneko Taloon, a weapons merchant with the dream of one day owning his own shop. And having recently played through this chapter again (I originally played this game as a kid), I couldn’t help but notice how it provides better business education than most schools do. 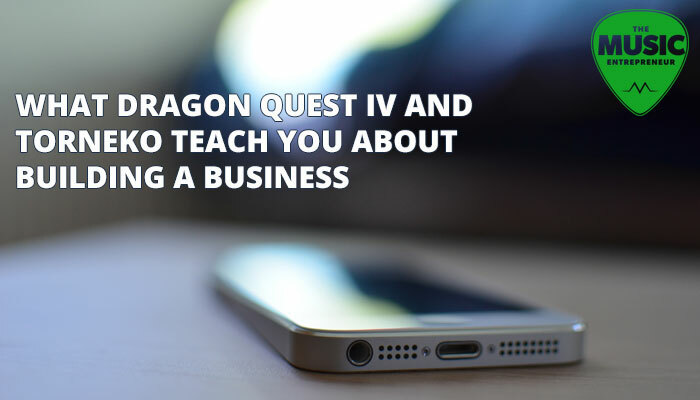 Here’s what Dragon Quest IV and Torneko can teach you about building a business. When you’re trying to save up for something important, you don’t spend money unnecessarily. You don’t buy medicinal herbs when your wife Tessie (her name in the original Japanese release was Nene) provides you with a packed lunch on a daily basis, you don’t stay at an inn on your travels when you can sleep for free at home, and you don’t buy gear you can’t sell later. Bootstrapping is all about cutting costs, saving money where you can, and avoiding unnecessary spending. When you have a clear vision for what you’re trying to achieve, you won’t part with your money easily. That determination is essential to building a successful business. Torneko begins his journey in his hometown of Lakanaba, where he is employed at the local weapons shop. His daily earning potential is about 100 gold, unless he happens to buy more expensive weapons from the customers that come in and turn around and sell them to other patrons for a profit. Torneko is afforded other small opportunities in and around Lakanaba. There is a senior man in town who will pay Torneko a small amount of money to “push” him to the church on a daily basis (about five to 10 gold). He can also journey out of town to fight monsters that drop a little bit of gold after they are defeated. But because you are still inexperienced when you first begin your journey, you can’t venture too far from town. You may not be able to earn a lot of money off the bat, but every little bit counts. Working at the weapons shop is a decently efficient way to make money. There’s no reason to rush off and quit, but if Torneko wants to make his dreams of business ownership a reality, he has to be willing to put in more work after-hours. If you never take a risk and venture forth, you’ll never make the connections and take the steps necessary to build a business. This is certainly true for Torneko, who has to visit the mysterious village of Shinnock, the kingdoms of Ballymoral and Endor, as well as a couple of perilous dungeons to blaze a trail. If Torneko stays in the village of Lakanaba working for his boss, he’ll never have a business of his own. First, Torneko has to achieve peace between Ballymoral and Endor by delivering messages between the prince of Ballymoral, and the princess of Endor. And although the king of Endor gives him permission to set up shop after he plays the invaluable role of messenger, he has to raise 35,000 gold to buy a local retail space from a senior man. No sooner does he acquire his storefront when he has to raise another 60,000 gold to help a senior man make his dreams of building a tunnel connecting the kingdoms of Endor and Casabranca a reality. Of course, the name of Torneko is on the lips of many after he achieves such feats. Torneko also helps the kingdoms of Ballymoral and Endor by supplying them with the gear they need. Ballymoral desperately needs good armor, and you can sell it to them at a premium when Torneko is in the process of raising capital for his own store. The king of Endor asks you to supply him with six swords and six suits of armor after you set up shop in his kingdom. The reward is handsome, but as with any other task Torneko undertakes, it is not easily completed. In addition to the Ballymoral example already given, once Torneko has set up shop, his wife Tessie is able to sell goods out of their store at a higher premium. Torneko can focus on acquiring more inventory while his spouse commits to selling it. I don’t believe in gouging customers, but it’s important to understand value perception. When you price your products and services too cheaply, you’ll never be able to make enough money to survive and eventually thrive. Pricing is critical to your success. Tessie sticks with Torneko through thick and thin. She marries him because he’s a big thinker, and believes in his ability to make their dreams a reality. She manages their store while he’s busy getting more stock. Their son is elated when Torneko makes good on his promise to start a business of their own. If you want to succeed in business, you absolutely need to cultivate support from your loved ones, and make sure they are with you in good times and in bad. Isn’t it amazing what games can teach you? While I certainly can’t say that all of these principles apply 100% of the time, I do think that playing this chapter of Dragon Quest IV will give you more insights into business than you will generally find in school. And what better way to learn than through a game? What do you think? Have you played Torneko’s chapter in Dragon Quest IV? Do you think these business lessons are valuable?